Pink Sand And Shiny Waves: 14 Bizarre Places That Will Blow Your Mind! Castles and beaches, gardens and buildings are not the only things if you need to see when you visit a place. Earth has many natural wonders which continue. Castles and beaches, gardens and buildings are not the only things if you need to see when you visit a place. Earth has many natural wonders which continue to amaze us. So if you have recently visited a beautiful beach then that’s not all, who knows the other side might be a desert? What if there is a lake but actually pink in color? Or an island where you can actually see stars in the sea? Do you know where the largest mirror of the world is? What? The lake actually looks like a milkshake that is pink in colour. 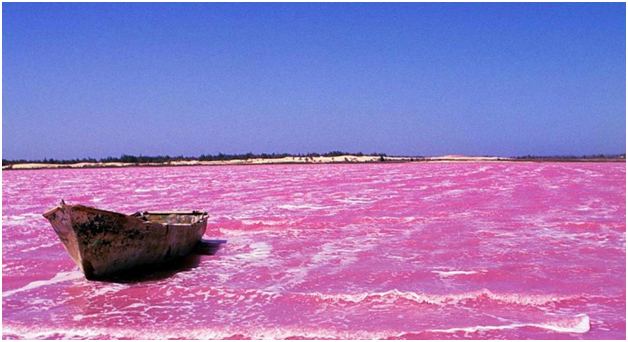 Lake Retba is also known as Lac Rose because of its pink colour. One can also swim in the lake and it is not at all harmful! Its colour is especially visible during the dry season (which lasts from November to June) and less during the rainy season (July-October). Why? The pink color is caused by the Dunaliella salina bacteria, which is attracted by the lake’s salt content. The bacterium produces a red pigment in order to absorb the sunlight, thus giving the lake its unique color. What? Only a slippery, submerged lip of rock stands between bathers and a 100m drop over the world's largest waterfall, the Victoria Falls! Each year at the fringes of Victoria Falls, when the dry season reduces water levels the pool is created. The pool is wild and wonderful but only some daredevils can go to the edge where death is waiting! One can also see Moonbow at night and rainbows during day time. Why? David Livingstone was the first person to view the waterfalls and in honor of Queen Victoria of Britain, the name was given. 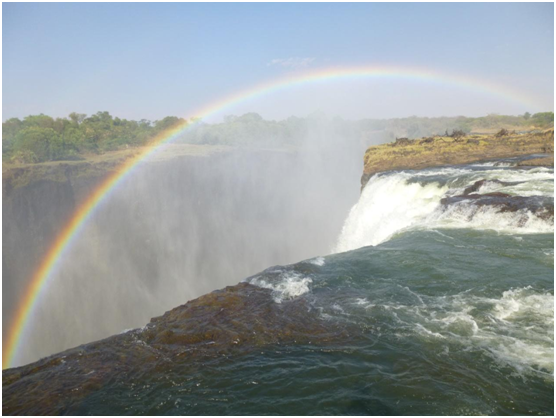 Victoria Falls is classified as the largest sheet of falling water! What? The coast is the meeting point of the sea and a desert! Strange isn’t it? 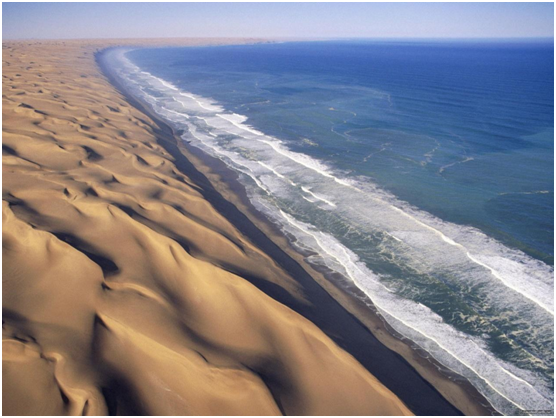 The Skeleton coast can be visited only by 800 people a year and while the sea tells beautiful stories the land has its own rages! The forbidding Nature has left Namibia's Skeleton Coast one of the most pristine shorelines in the world. The surf is full of writhing bodies and this coast is since called Skeleton coast! Why? The sand dunes that covered the land and the sea that connects with them, gave it a spooky name. One can see dead animal skeletons and shipwrecks and the tales behind it. All of this is the weather and nature of Atlantic Ocean and Namibia. What? 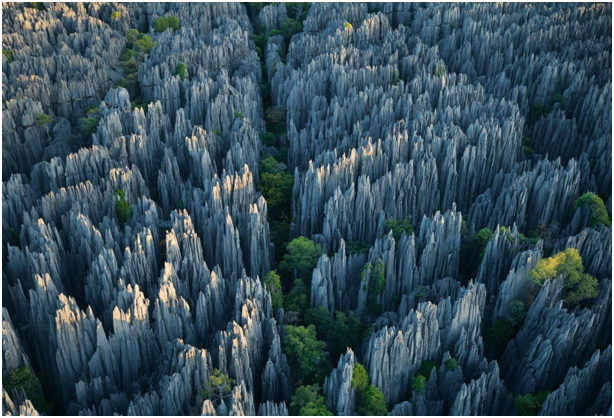 One of the most dangerous forests where only sharp rocks are situated! The place is very difficult to explore and only a few species are seen in the area. If one really is ready to see a cave but without any roof then this place is a must visit, stones are real big and sharp while the climate is cold and dangerous. Why? Researchers believe that groundwater infiltrated the great limestone beds and began to dissolve them along joints and faults, creating caves and tunnels along the land which resulted in formation of these limestone rocks. What? 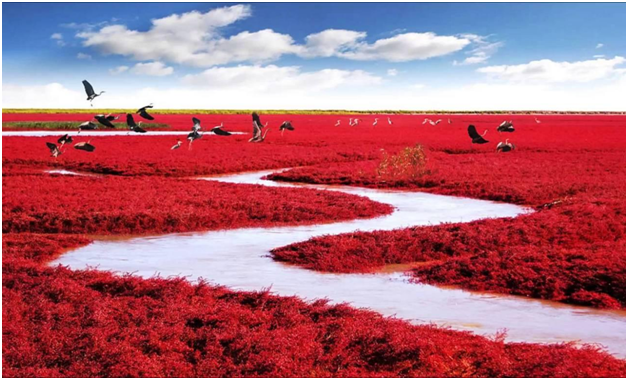 The red beach is a place that is a wetland and only the red plant of Suaeda salsa is seen all over the place. The plant gives the beach’s land a blood red color and is responsible for the name of the beach. Green grass seems boring once one visits this place. Why? Since the soil is too alkaline, only a few species can live in the land and the red grass is one of them. The river also protects various birds that are endangered and found only in that area. What? The place looks like an imaginary land for any visitor! 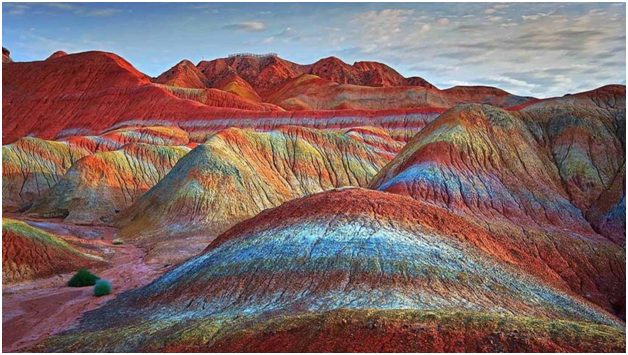 Since the mountains are made of limestone they really end up looking beautiful and colourful. If anyone is a fan of paintings or in love with the new “Prisma” filter then why not go and experience it live? Why? The mountain took millions of years to form since 80 million years ago, cretaceous red sandstone and conglomerate was laid down by sedimentation from the lakes and streams and later the topography of area completely changed due to different weathers and erosion and resulted in these colourful mountains. What? In this village, goats climb trees for food! The only place where goats climb trees and prove to be the best example of Darwin’s Survival of the Fittest theory! The trees are huge just like other normal trees but it seems that these goats have made the ordinary place extraordinary! Why? 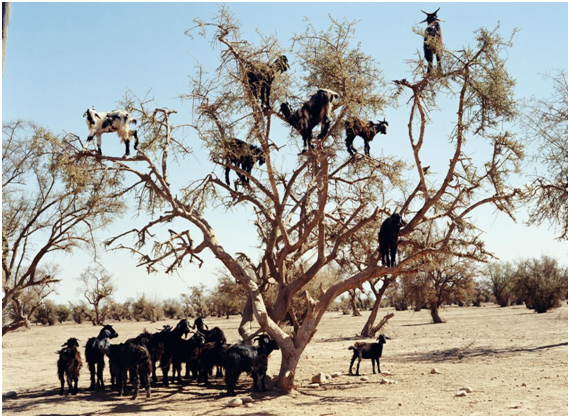 These goats climb Argan trees in search for food. Argan berries are about the best food a Tamri goat could imagine, and to reach the fruit requires them to be adept in an extraordinary balancing act that’s quite unexpected from a hoofed animal. Over time, the goats seem to have mastered this acrobatic skill, traipsing sure-footedly on the narrow branches of the Argan trees. What? The sea glows at night! Yes who says Fantasy is unreal? If you actually want to experience or take your loving partner to a great place which will remain in your hearts forever then this is the perfect place for you! 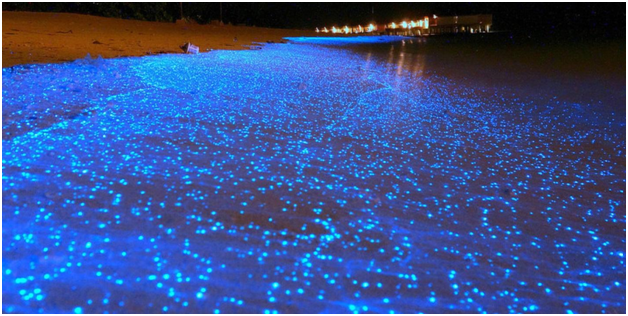 The sea at Vaadhoo Island literally glows at night and hence is named Sea of Stars. Why? 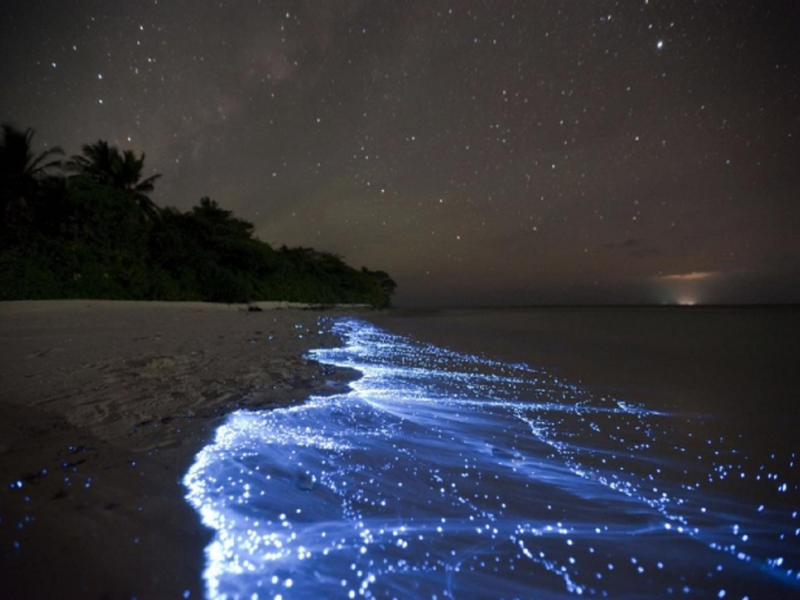 This phenomenon is caused by a natural chemical reaction known as bioluminescence, which occurs when a microorganism in the water is disturbed by oxygen. These microorganisms or marine microbes are called phytoplankton and there are a variety of its species that create bioluminescence seen in different parts of the world. What? The largest freshwater lake on the planet that contains approximately 20 percent of the Earth’s freshwater. Apart from being the oldest lake in the world at over 25 million years old, Lake Baikal is also home to over two thousand varieties of flora and fauna, of which almost 1,600 are endemic to the lake. The lake also forms large turquoise ice rocks and one can explore the sheets by diving too! Why? 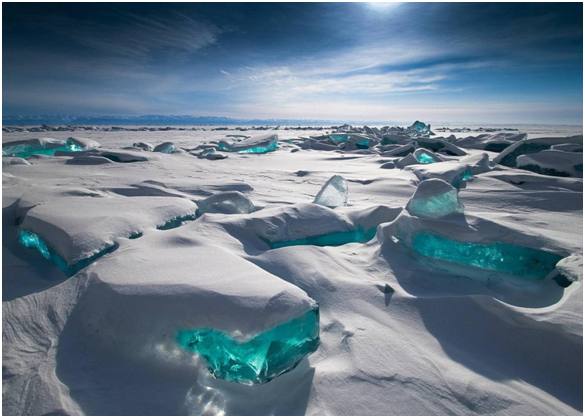 When the lake freezes during the winter, an amazing phenomena takes place: large shards of transparent ice form on the surface of the lake, giving the amazing appearance of turquoise ice. What? 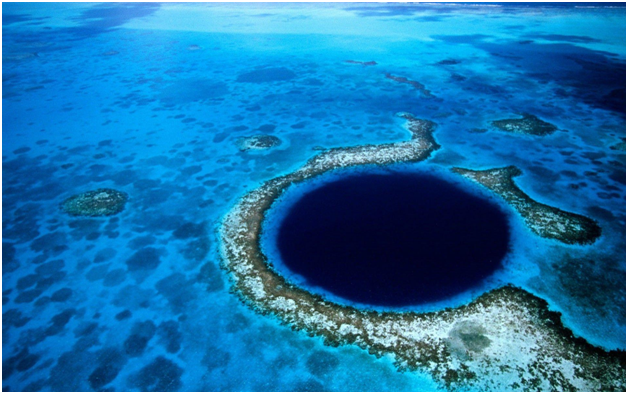 The world’s largest natural formation of its kind, the Great Blue Hole is a paradise for divers! The hole is considered to have some of the clearest waters and largest variety of flora and fauna. Why? Originally the Blue Hole was a limestone cave that started to form about 150,000 years ago. The dark blue color of the hole signifies that it has a great depth, especially compared to the shallow waters nearby. What? The world's largest salt flat with an area of 10,582 square kilometers, open skies and clear land give the place this look! 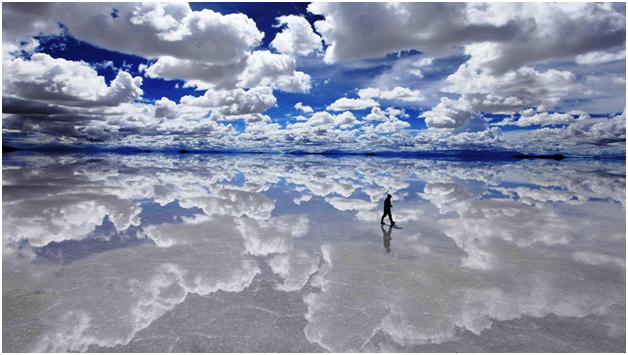 Since the land is very clear it reflects the skies and also a person and hence is also called largest mirror of the world! Why? Also called Salar, it was formed as a result of transformations between several prehistoric lakes and then has an extraordinary flatness and is a desert! What? Also called as Waitomo Glowworm Caves, it is famous for glowing all the time. While entering the cave, visitors are provided with a boat and inside the cave, one can see millions of particles which are spreading lights and glowing all the time. Why? 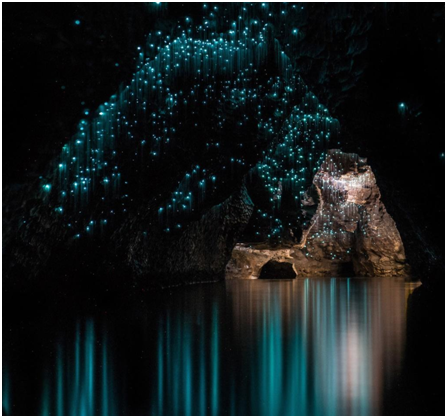 The cave has a population of glowworms, Arachnocampa luminosa and the species is found exclusively in New Zealand. The specie is no larger than a mosquito and the cave is made of limestone dated million years ago. The limestone is composed of fossilized corals, seashells, fish skeletons, and many small marine organisms on the sea beds. Over millions of years, these fossilized rocks have been layered upon each other and compressed to create limestone which resulted in the glowworms. What? 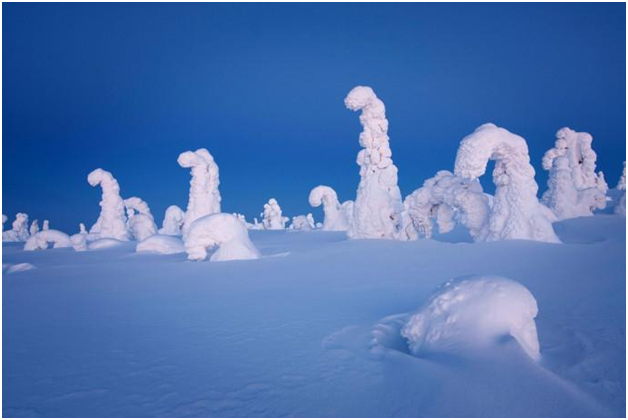 When Finland’s temperature falls, the trees actually get frozen like this! If anyone has watched the Disney movie “Frozen”, this is where the animations were inspired from. The trees in the region remain covered in pillowy white snow, making the scenario fantastic for visitors. Why? The weather is in sub-zero temperatures of -40°C to -15°C making the trees frozen! What? 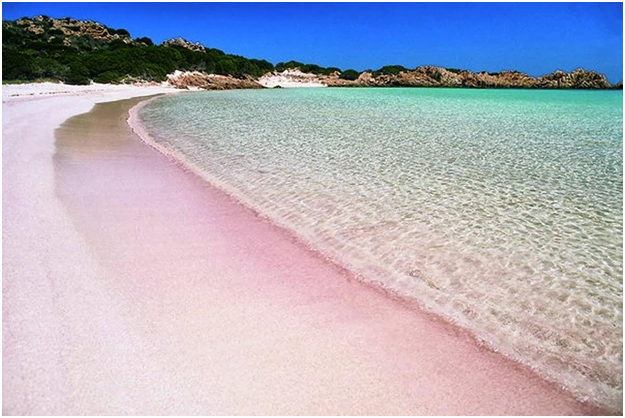 If you are bored with the dull colour of sand then this beach has pink sand for you! Yes, you heard it right- pink sand! No less than a fairytale, the place is beautiful and will relax one’s eye and is famous for its sand colour. Why? Since the sand is rich in fragments of coral, seashells, mollusc shells and tiny specks of granite they contribute to the color.